As president of NoMoreClipboard, Jeff Donnell is responsible for organizational vision, strategy development, business development, marketing and managing growth. Jeff has helped NoMoreClipboard gain recognition as one of the top patient engagement solution providers on the market and helps the company’s leadership team leverage its extensive clinical health and technology experience to continually enhance patient portal and PHR applications that are consumer-friendly, interactive, secure, mobile and interoperable. 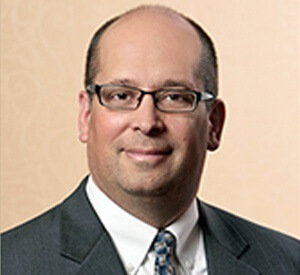 A visible member of the health IT community, Jeff has served on meaningful use workgroups, has testified at ONC policy and standards committee meetings, and is a board member of the Indiana HIMSS chapter. He has also helped to raise awareness of health IT adoption via public speaking sessions across the nation. He is a sought-after media expert on the topic of health IT relating to personal health and patient empowerment issues and has been featured in BusinessWeek, Healthcare IT News, The Wall Street Journal, Modern Healthcare, Health Data Management and more. Jeff also created and maintains healthcare IT parody organizations Extormity and SEEDIE, using satire to shed light on the need for more affordable, interoperable, and flexible healthcare IT solutions for clinicians and consumers. Jeff was also instrumental in starting the imPatient Movement, an advocacy effort designed to foster electronic collaboration between consumers and clinicians. Jeff has more than 25 years of management consulting, marketing communications, business development and advertising experience, including a stint as a principal at one of the top business-to-business marketing firms in the U.S. He has also taught advertising at the University of Indianapolis and has lectured on business-to-business marketing at Indiana University’s Kelley School of Business.